As somebody that writes lists with a pen and paper, owns an old typewriter that still works and plays music on a turntable, it’s fair to say that I’m a fan of anything retro. But what if having an infinity for a bygone era wasn’t just a hobby but a complete way of life – from the clothes to the music to the décor of your house? 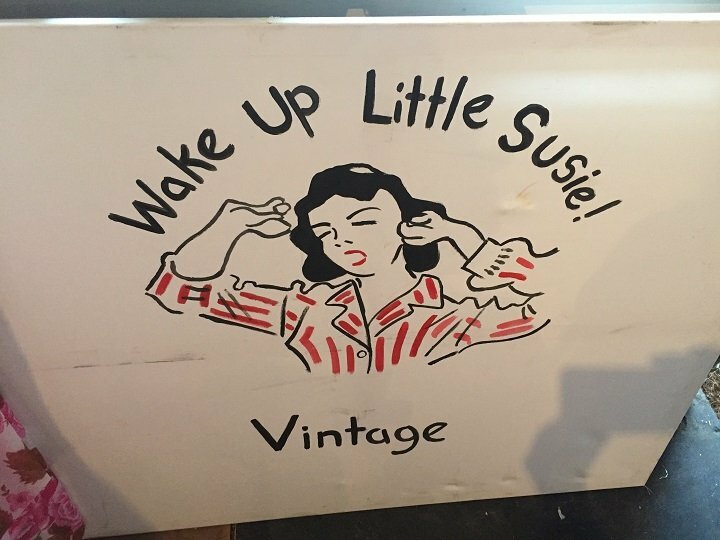 Susie Pritchard is one such person, living life in awe of the 1950s and ’60s and making a living out of buying and selling collectables from that timeframe. Even her company name is the song title of a popular Everly Brothers track (which I coincidentally own on vinyl). 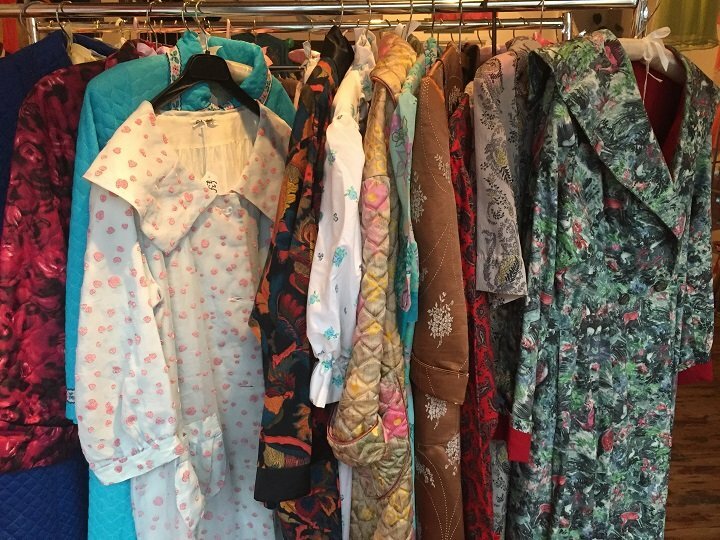 How did you get into selling vintage nightwear? 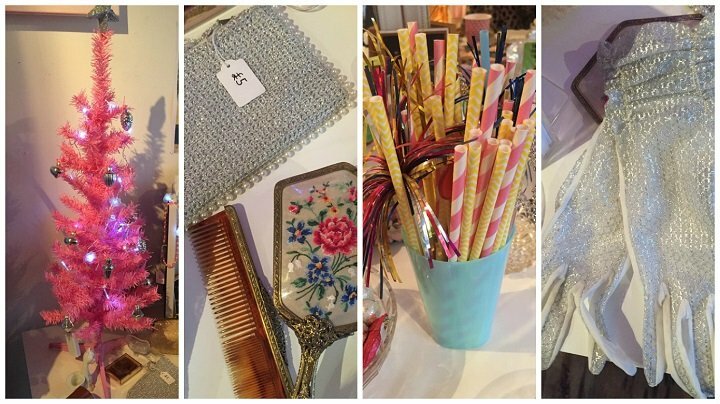 I started out selling vintage clothes and collectables at various fairs and events around the county in 2010. 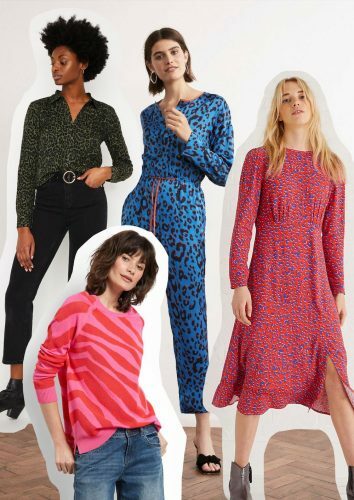 At this point I was featuring nightwear alongside everything else on my rails; once I had more stock, I hit on the idea of a Vintage Nightwear Party – a way to display all the pretty nightwear together while creating a different shopping atmosphere. I held three evening events at Olive’s on Elm Hill with music, cocktails, nibbles and, after gathering more stock, decided to host a two-day event. I discovered Studio 20 last summer when I hosted my first event, so naturally thought a pre-Christmas follow-up would be a good idea. How do you go about decorating the space prior to each event? I based my layout on a recent photo shoot I had done with photographer Kerry Curl, stylist Karen James-Welton and models Nakita Harden and Estelle Long. The theme of the shoot was to explore different ways of wearing and styling the nightwear and lingerie, especially the slips, and ways to wear nightwear as daywear. What kind of things do you stock? I always have plenty of baby dolls and two-piece sets with nightie and jacket. 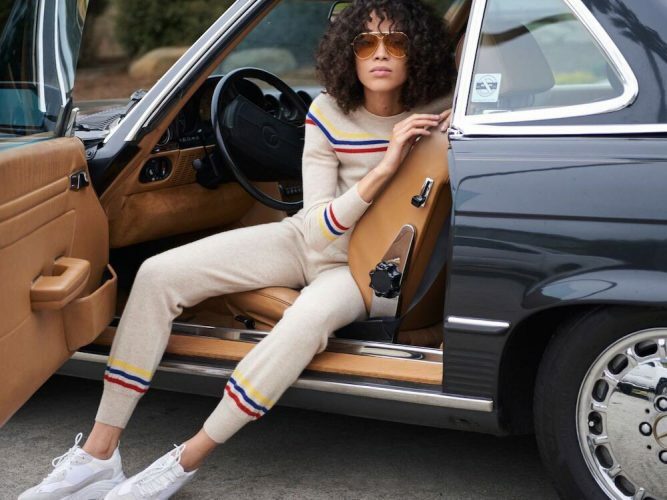 I also stock bed-jackets, full length night dresses (from warm brushed nylon to silky and lacy), kimonos – which are always popular – dressing gowns, robes and pyjamas. 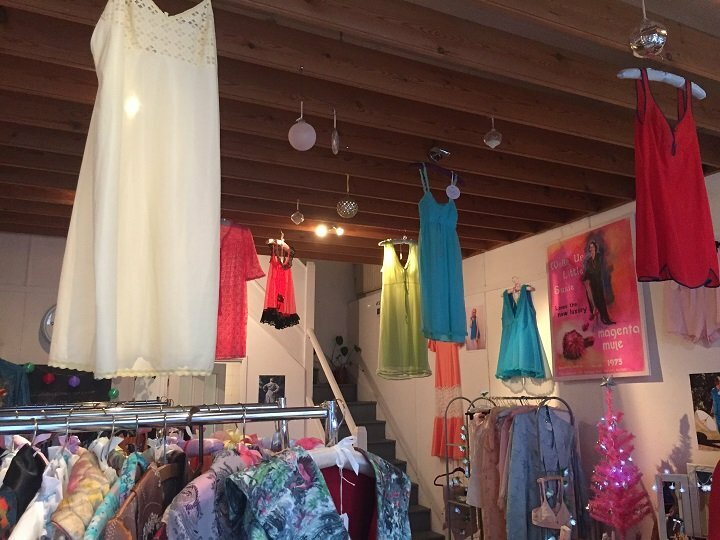 I also had a few older pieces this time too – from cotton Victorian night gowns to lace-embellished 1920s nightdresses and silk 1930s nightgowns. 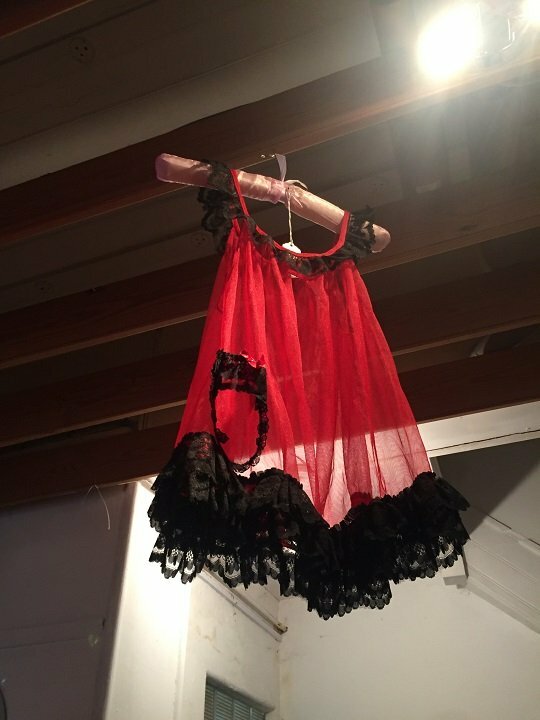 I supply lingerie from the era too, so I have plenty of bras, French knickers, teddies, stockings, slips, petticoats, girdles etc. Where do you source your stock from? I am always on the look out for things – whether it’s picking up a single item or a job lot. As word spreads about what I do, I find people coming to me with items to sell – be that someone I know or someone who has spotted me on social media or at an event. 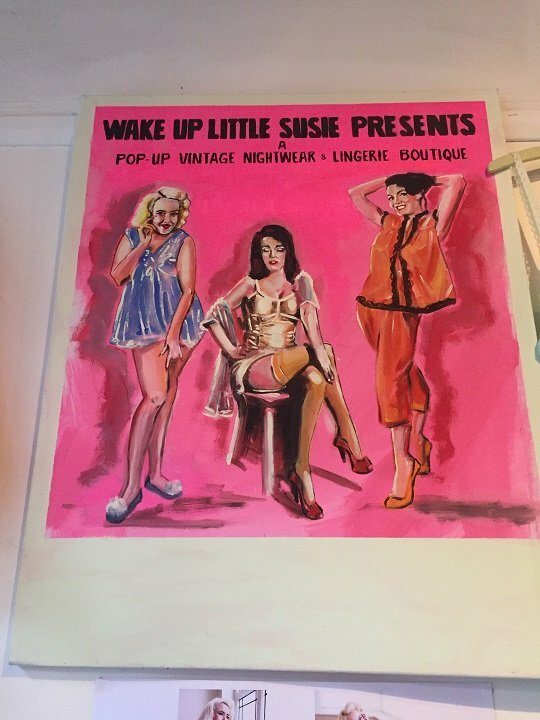 Vintage dealers that don’t specialise in nightwear and lingerie also come to me with bits that they can’t sell as I can market them in a different way. 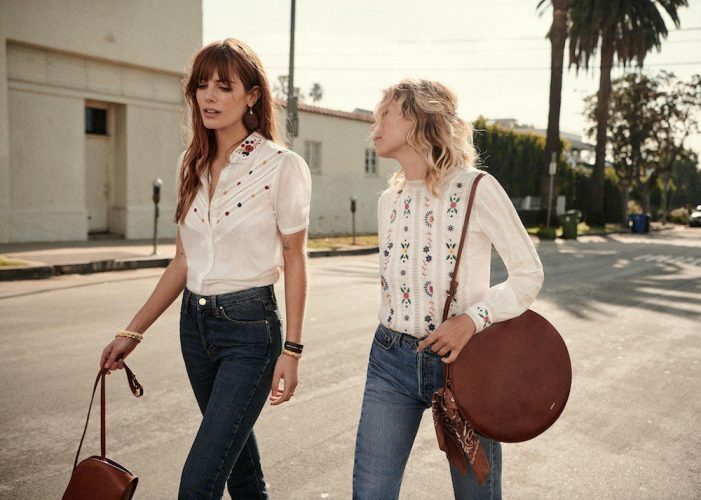 I don’t tend to buy much stock online, but I will trawl the internet if I’m looking for a specific type of garment, maybe for a customer or a themed fashion show. What tends to sell the best? 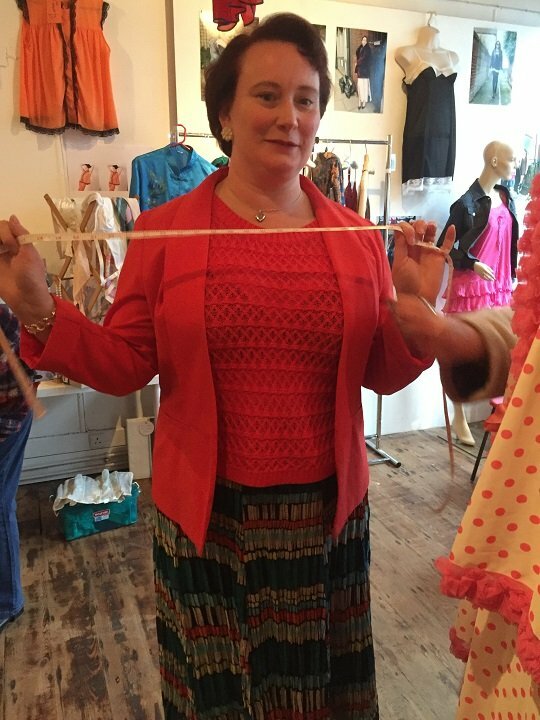 Lingerie sold well this time too with a couple of lovely ladies spending ages going through the seamed stockings and suspender belts. Do you have a lot of men attending your events? The menswear sold well (which it doesn’t always at vintage fairs) – I always sell robes/smoking jackets quickly online though. 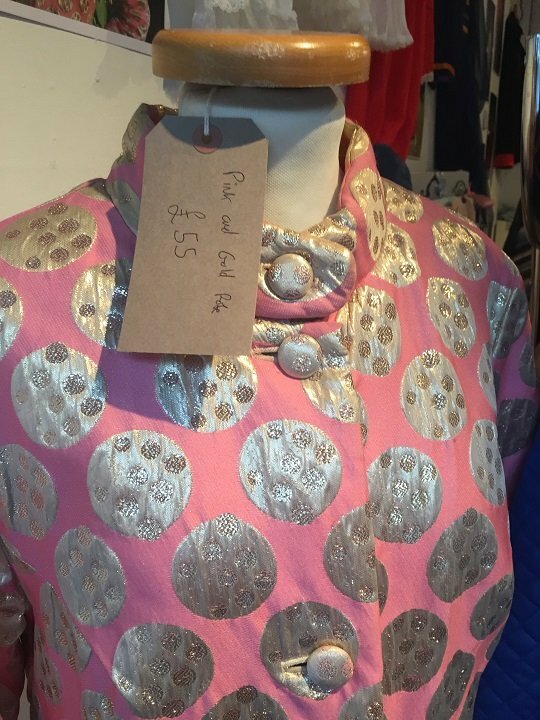 A pair of 1960s print PJs sold to someone who’d spotted the photo on the wall, and I sold a lot of robes as presents. 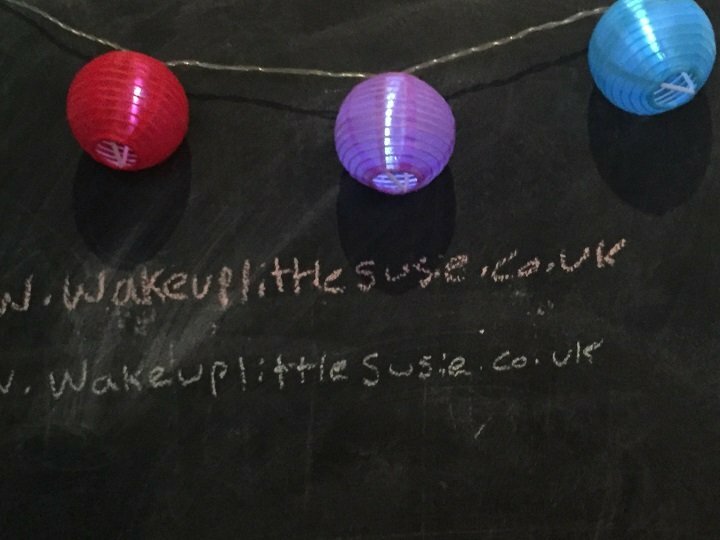 What’s next for Wake Up Little Susie? 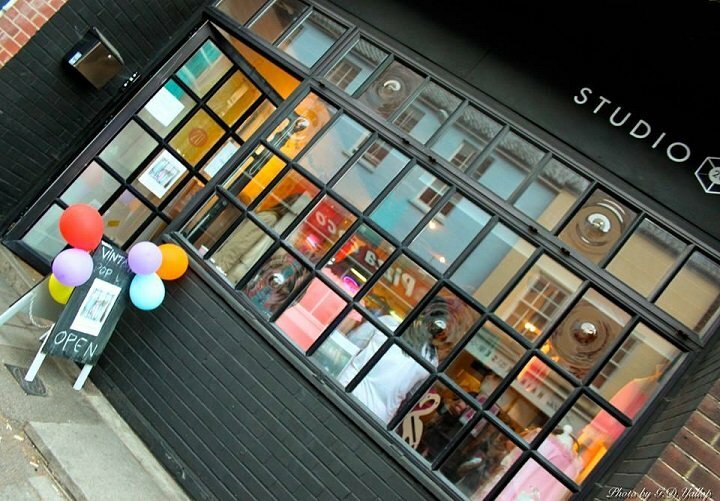 I am planning a ‘Shop the Collection’ Pop-up following next year’s Norwich Fashion Week Vintage Show – where some of my garments will be featured. This will be around mid March.